I milk every ounce of the $7 I pay Netflix each month. I scraped cable nearly four years ago and have not looked back. A family member was lamenting last week that there was nothing on television, although she forks over a cool $70+ per month on satellite services. I had to to fight from giving a Kanye shrug. WINNING! Aside from Binge watching television programming like Law and Order and Frasier, Netflix provides me access to quite a few independent films and theatrical releases that didn’t last too long in the theater. This month, there are quite a few interesting films to watch during Black History Month. So if you have considered adding Netflix to your entertainment cadre, this would be an advantageous time to do so. When watching films with children, you can use the Story Chips tool to assist in establishing thoughtful dialogue. Also, consider incorporating a hands-on project after viewing, such as creating a movie poster for the film highlighting one o the pivotal scenes or important themes. Here’s a list of sixteen films presently available for viewing for each of the remaining days of Black History Month. Winnie Mandela – a biopic starring Jennifer Hudson as the South African leader who triumphed over incarceration and her husband’s twenty-seven year imprisonment. The last decade shown in the film is some of the most gripping as it shows her relationship with Mandela and the ANC fractured due to her embracing militant ideals and practices. The Black Panther Mixtape – I’m watching the tail-end of this Swedish documentary now. It’s intriguing to observe the words of Stokely Carmichael (I did not know he was Trinidadian) and Bobby Seale laced with John Forte and Talib Kewli. The timeline format aids in understanding how events unfolded and attitudes shifted. Surviving Katrina – a documentary on the hurricane which raged through New Orleans and exposed the socio-political issues we have in our nation. Hard Lessons – Starring Denzel Washington, this drama based on real-life events tells the story of George McKenna, the tough, determined new principal of a notorious Los Angeles high school. The Long Walk Home – A film, starring Whoopi Goldberg, about the Montgomery bus boycott from the perspective of a white woman and her black housekeeper. The Journey of August King – a film about a runaway slave during the 1815. Savannah – A film starring Chiwetel Ejiofor as a freed slave during Reconstruction and his friendship with an aristocratic white man. Night Catches Us – Starring Kerri Washington, a film depicting a former Panther and his re-connection with the daughter of a former Panther leader. Salute – a short documentary on the 1968 Olympic historic moment when two champions raised the black fist salute at the medal podium. Brother Outsider: The Life of Bayard Rustin – A documentary about one of the major architects of the Civil Rights Movement. Shaft – Starring Samuel L. Jackson in the John Singleton remake based on the story created by illustrious photographer Gordon Parks. Luv, Starring Common as a man returning home after eight years in prison. A Band Called Death – a documentary about three Detroit brothers who formed the first African American punk band. Akeelah and the Bee – A middle school girl capitalizes on her love of words to participate in the National Spelling Bee Competition. Gifted Hands – Cuba Gooding, Jr portrays neurosurgeon Ben Carson in a biopic showing his development from a struggling student into an expert physician. All Things Fall Apart – Under the direction of Mario Van Peeples, 50 Cents stars as a gifted college running back whose world turns upside down when a crisis jeopardizes his professional ambitions — and teaches him some life lessons. 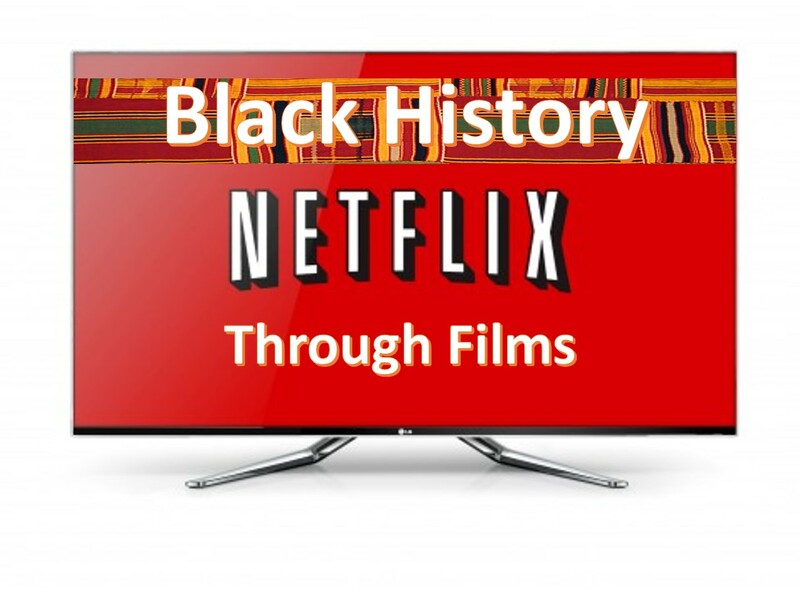 "Netflix: Black History Month Through Film" was written February 12th, 2014	by ayaacademy, and filed under Uncategorized and tagged #BHM, Black History Month, Black Studies, Film, History, Learning, Multimedia, Multiple Intelligence, teaching.